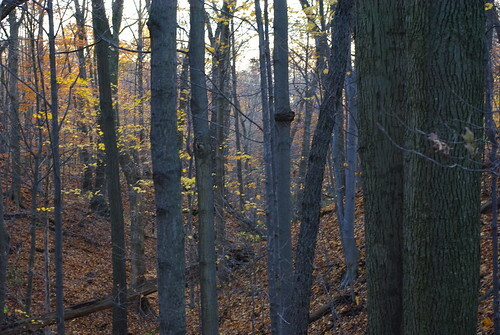 The leaves have finally fallen, but not completely! that Thanksgiving is going to seem a little hurried this year. Rosie runs in the morning, and Izzy works at 4. Somehow between those two events, we have to squeeze in Thanksgiving! 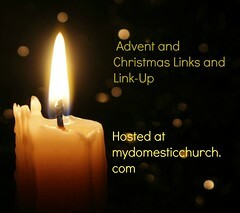 Also, my mega Advent and Christmas Link Post is up! Lots of great ideas for ways to prepare during Advent and celebrate Christmas. 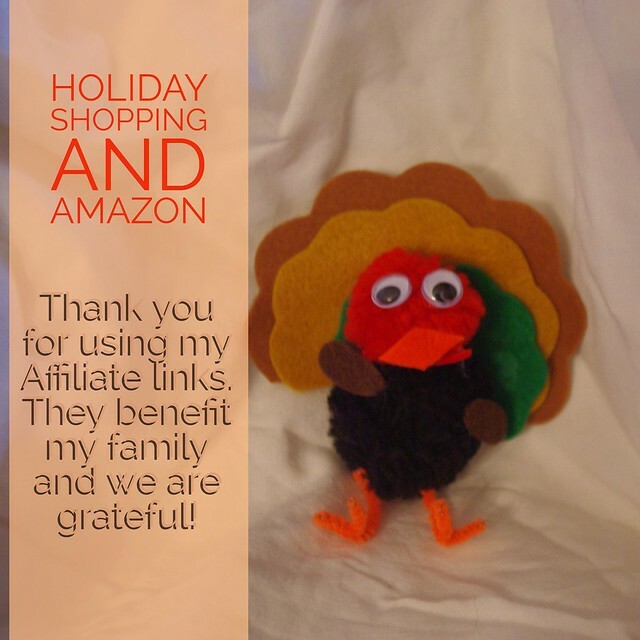 This year, I've added a link up so you can share your own links too! that I have most of my holiday shopping done! This is a record for me. I have aimed to get done before the first Sunday of Advent, but I might actually have most of it done before Christ the King! This year my parish is doing a more casual Christmas program - the Fa La Lollies. My particular Christmas musical group decided that we should do The 12-Days of Re-gifted Christmas. One of the recurring lines in the song is, "On the first day of Christmas somebody gave to me, an album by the Partridge Family!" Let me just say as a fan of the Partridge Family, and as a girl who had a major crush on David Cassidy, there's nothing wrong with that! In fact, I have an album by the Partridge Family that I received as a 10th birthday present! But it just seems a little cringy right now to be singing that song while Mr. Cassidy is fighting for his life somewhere in a Florida hospital. It puts a damper on the performance of this song, at least for me- as a fan girl! 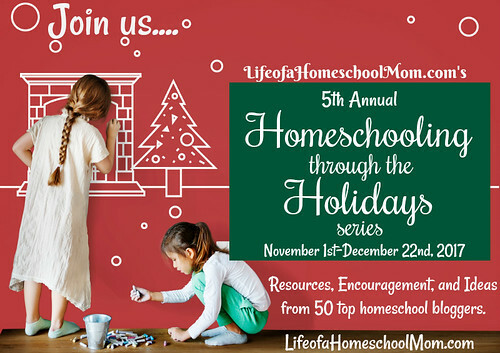 Join us November 1st-December 22nd, as 50 bloggers bring you different resources and ideas for embracing homeschooling during the holidays! 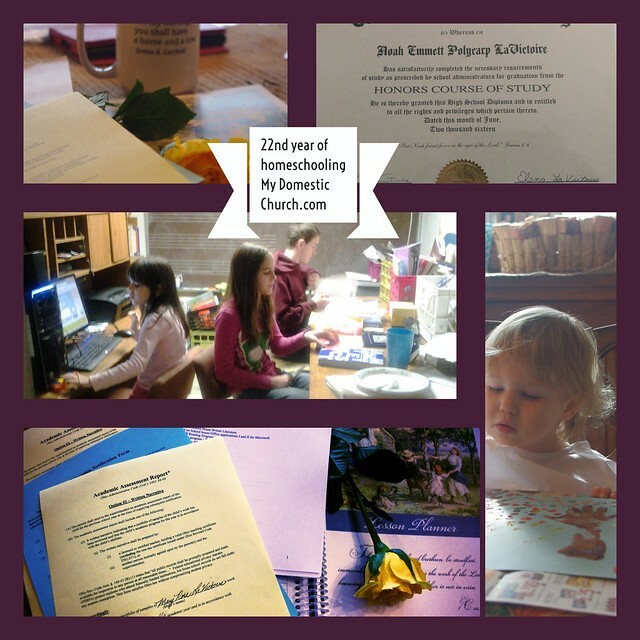 Each week day, you will find one or two new homeschooling through the holidays posts published right here on LifeofaHomeschoolMom.com. My post got delayed, but it's going to be up on Thursday! my computer hum, my ears buzz, and the dog asking me for a walk! I totally cheated this week. We had Stouffer's Mac and Cheese last night and we are having Stouffer's Lasagna tonight! For myself, I got a half rack of ribs and I'm making that last for the next three days. Black yoga pants, a pink sweatshirt that is pre-stained, and a gray hoodie. I'm going to be working outside today! I'm still dealing with my knee flare up so I have only been walking 2-3 miles a day, fast enough to break a sweat. I can bend my knee almost completely and the swelling is almost completely gone, but it still feels like it's not my own knee! Back to scraping on the flip house. Taking Izzy to work five times this week! Help Mr. Pete with his monk costumes! Continue my practice for my big performance in April. Get my Christmas shopping done before Advent! This is a pretty good read so far! Really fills in the gaps of information I had about this important historical figure. This is the book my flute teacher recommended to me years ago, It's about mastering your inner self and giving your best performance! It's applicable to musicians too. In fact, another musician friend who plays a keyboard instrument got the same book recommendation from her teacher! We are taking the week off! When I was desperately looking for ways to help Calvin learn to read, the Writer's Jungle by Bravewriter's Julie Bogart was a source of great inspiration to me. This fall, I'm going to be sharing some of my favorite parts that really helped me teach my kids to write - from the absolute most recalcitrant writer to the kid who has prose and poetry just dripping out of her! are the artist’s true friend.